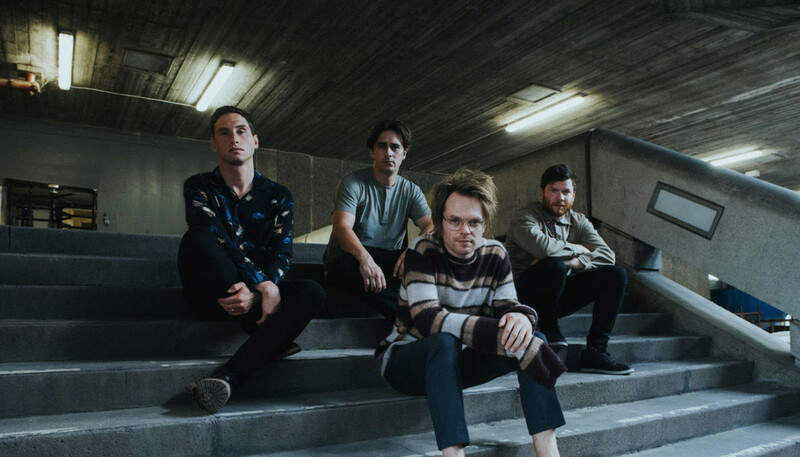 Enter Shikari stepped out of their comfort zone for album number five, opening up about vulnerability and working with a new producer for the first time since Common Dreads. Here frontman Rou Reynolds discusses celebrity culture and the death of the rock star, and explains how politics, grime and internet echo chambers all inspired The Spark. You’ve taken it relatively easy this summer in terms of touring but you did play Pukkelpop. How was that? Yeah, great. That’s one of my favourite festivals, I think. As is the case with a lot of mainland European festivals, you just get treated so well, the festival bills are really diverse, and the stages and the sound are great. Yeah, we had a bit of a sparse summer but we needed that really to finish off the album and get everything ready. When and where did The Spark sessions take place? We recorded it at Angelic, which is a studio in Nottinghamshire. It’s owned by the keyboardist of Jamiroquai, and it’s a renovated barn in the middle of nowhere. It’s very picturesque. And as you’d expect, there are lots of keyboards and vintage synths and modular synths, so it’s a bit of a candy store: you walk in and start drooling at all these amazing electronics he has. We did the main bulk of recording there in January and a bit of February, and then we took about another three or four months to finish it off, just back in London at David Kosten’s studio, who I co-produced the album with. It feels like the whole idea of the rock star is dead now. Why did you choose to produce with David Kosten? Well, we had a shortlist of producers that had interested us, and I think as soon as we met David it was one of those perfect moments where you just seem to click with someone. We felt like he understood the music without coming from our background. Because we had worked with Dan Weller on pretty much everything except for our first album, and he comes from not only our world but from our actual scene in the Hertfordshire/Bedfordshire area. So he grew up with the same bands as we did and he got exactly what we were trying to do, but we wanted to find someone that was perhaps coming at things from a different perspective. And David not only has an absolute wealth of knowledge of all types of music, he’s an amazing electronica producer with his own stuff. He did Bat For Lashes and Everything Everything, and other acts. So yeah, it was a bit of a no-brainer. Enter Shikari fans must know to expect the unexpected from your records by now, because you’ve never really been constrained by genre. Even so, this album does feel like your most surprising yet. Would you agree? I think so, yeah. It feels like the biggest step we’ve ever taken. To be honest it feels like a fresh start, or the start of a new era of the band; it’s just really exciting. I don’t think I’ve ever been this anxious and excited to have a record out and to see what people think. So, yeah, it’s pretty bold. For the benefit of anyone yet to hear The Spark, what can they expect? Well, it’s definitely most my honest album. Lyrically, I’ve really laid myself bare. I wanted to delve into human vulnerability and not hide anything, so it’s a very emotional and open album. Also, I think lucidity was a real important thing for me in the songwriting of this album. 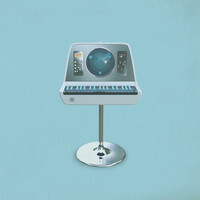 Often Shikari songs can seem like five songs in one, and they just veer off all over the place. This time, I wanted to sort-of prove myself as a songwriter in terms of the long lineage of British bands that we’ve grown up with, from post-punk to synth-pop and Britpop and that sort of thing. I wanted to muscle into that long lineage and say, “Look, I can write songs as good as any of this.” I don’t know if we achieved that, but that’s what I set out to do. Can you tell us about some of the musical reference points this time round? “Rabble Rouser” almost feels like two-step? It’s kind-of influenced by all the genres that I grew up with outside of the rock world. So I was very lucky to have all these different influences, living just outside London. I had the pleasure of watching grime and dubstep grow. And being a kid when you’re growing up listening to your older brothers’ and older friends’ garage and drum n bass records. There was just so much going on in terms of electronic music or urban music, or whatever you want to call it. So the beat on “Rabble Rouser” is all of those influences. In a recent interview with The Independent you said, “Hypercapitalism has sunk its claws into rock music and now people have ambitions to be in a big rock band just to be a big rock band.” Do you think that is a relatively recent development? I wouldn’t say it’s a new development. I think there have always been people who want to play music not really for any sort of artistic reason, but just for success. But I think certainly in the last 10 years that has become more and more of a thing. I don’t know why that is, whether it’s the onslaught of reality TV or with narcissism within pop music? You know, there’s that clichéd thing of asking young kids what they want to be when they grow up and they say, “Famous.” So yeah, I think it has accelerated certainly in recent times, that sort of mindset. As a band who have always been very politically engaged, the period following The Mindsweep must have provided of plenty potential inspiration? It wasn’t until glimmers of hope started showing here and there... Especially in this country, it feels like the youth has become a lot less apathetic when it comes to politics, with people like Jeremy Corbyn having such momentum over the past few years. And that gave me a foothold, really, because I find it hard to make doom and gloom in music. Music is such a powerful tool to change one’s emotions and to recharge and embolden people, so I try always to at least have a glimmer of positivity within the somber stuff. On “Take My Country Back”, you subvert the rhetoric of the right. Can you tell us about the song? That song was born out of frustration out of a few things, like that ultra-nationalism which I think we all thought was dead and gone. So, 10 years ago if you’d have said that nationalism would be a big threat to communities and social cohesion, nobody would have believed you. But, yeah, it’s a global phenomenon, with the rise of the various far right parties across Europe, and then obviously Donald Trump. It’s disconcerting. But that song is also about echo chambers. So not only do you get these people hiding and forming their own groups with this anti-foreigner rhetoric, but within these echo chambers they embolden each other and rationality goes out of the window. They don’t take on anyone else’s opinion because they only hear opinions that they want to hear, filtered by social media. So people end up just not really opening their minds to any other perspective and debate goes out of the window. As well as these broader themes, you mentioned it’s a very personal record too. Can you tell us more about the song “An Ode To Lost Jigsaw Pieces”? It’s all about loss really, in its various forms. In the years coming up to this album, I lost my last two grandparents and finished a relationship that was about seven years. So a lot of that song is about the fear that comes with having all these things taken away. You build up this structure that you call your life and then that suddenly comes apart at the seams, and it’s a very fearful, anxiety-ridden thing to go through. And as I’ve said before, a lot of this album was about not shying away from not showing the most vulnerable side of humanity. The album title feels inherently optimistic, though? Yeah. I guess it’s not quite us coming out of all that – because I feel like we haven’t really seen a light at the end of this long, dark tunnel that we’re all in – but I think it’s about concentrating on what we can do. The spark is celebrating the things that can seem quite insignificant but that can actually blossom and bloom into something incredibly significant. And sometimes when you’re living through the worst things, you don’t realize that there’s a lot of good that can come out of adversity. You can come out stronger and more knowledgeable or more experienced. Hopefully that’s what’s happening, or what’s going to happen now. What have you learned in the making of The Spark? I’ve definitely learned a lot about the importance of human connection. Music is one of the best tools for that really. I feel like most things provided a very wide-scale community aren’t really there anymore, with the downfall of religion really, the only thing that brings people together is music. And music is better than religion because it brings people together indiscriminately as well. I feel quite lucky and quite honored to be able to wield these tools that bring people together in a world that is so divisive right now.